It’s possible to have ALL! The financial success, the dream schedule, and the time freedom! Want to learn more? Our goal is to show you exactly what we did in order to get to where we are right now, and how YOU, too, can start earning big profits online! Confused about what your first steps as an entrepreneur should be? Lacking the resources and, worst of all, the inspiration to scale up your business? Then you’ve come to the right place! Hey, John and Nadya here! Not too long ago, we had the same questions as you: how did the most successful people in the world start out; what were their day-to-day activities; how could we replicate what they did? 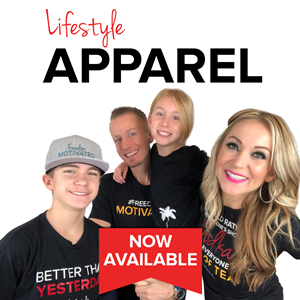 After many weeks, months, and even years of struggle, continuous learning, and persistence, we understood the secrets to creating a life you don’t need a vacation from! Today we’re home business experts, trainers, and personal branding and online marketing strategists. We pride ourselves on helping thousands of entrepreneurs and network marketers all over the world build their home business empire through Social Media! Is Your Home Business Keeping You Away From Home? Did we strike a nerve? Yes, we know what it’s like to run a home-based business, and never be at home. Because that was our reality only a few years ago! In 2013, John and I found ourselves at a crossroads. On paper, we looked pretty successful: we had reached the 2nd highest level in our then-company; we had built a team of tens of thousands of people, and we were making six figures a year. But there was a catch — we had no life! We couldn’t even enjoy time with our kids without feeling guilty! So we started wondering: is all this stress really worth it? That’s when we made an executive decision. Online marketing answered all of our questions, so we knew we had to learn everything we could about it! And so we did! Every single day, even if we could spare only 10 min, we invested in our education. In the last five years, we’ve spent over $250,000 learning about online marketing. And you know what? Now that was worth it! Why? Because we DO have it all, and if we can do it, so can YOU! And you know what the BEST part is? Your business can be 100% virtual when you use Social Media! And we mean 100%! Sounds A-mazing? This is just the beginning! Online marketing education is great. But how exactly did we learn to implement it so successfully? Because we’ve been through every single tough situation in the book! Seriously, there aren’t many things that can surprise us anymore! In 2013, when we decided to start building our business online, our then-company wasn’t too happy about that. They wanted us to stick to the old school methods. But we were too tired and frustrated. So we decided to resign, after 7 long years to hard work. We thought that would be the end of it. But — surprise! We got sued for $2.5 million! Honestly, when we heard that, our hair stood on end. After 18 long months of attorneys, meetings and unpleasant conversations, we finally settled for a small fraction of that. And it was truly over! We could breathe again! But our troubles were far from over. Because just as we managed to put out that fire, another one had started. Our new company got shut down by the FTC in Sept of 2015! “You’ve got to be kidding me!”, we thought. No, it was no joke, unfortunately. BUT! Because we had already established our own personal brand, it didn’t take us long to find our new home! Today, we’re making more money than we ever thought possible. And we have so much time for traveling, family, and fun! Yes, it took time to bring our business to what it is today. And yes, we had to make a lot of sacrifices and face a lot of adversity along the way. But it was all WORTH it! Because we got out of each tough situation as stronger and better people! Want to know all the tips and tricks to creating, running and growing a successful 7-figure home business? We’re sharing ALL of our knowledge in our Private Facebook Community! Join it for FREE right here! 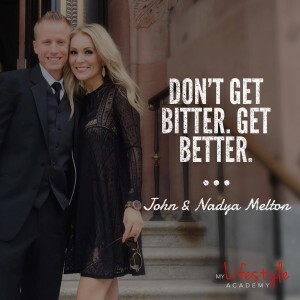 John and Nadya Melton are two of the most distinguished Home Business Experts and Lifestyle Coaches in the Network Marketing industry. After spending years building their business using traditional methods, John and Nadya realized that the cost they had to pay was too high and it was taking a toll on their family. 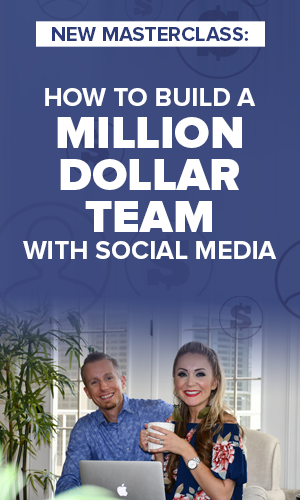 This led them to explore and develop various online marketing strategies to become 7-figure earners while working from home and spending time with their children. 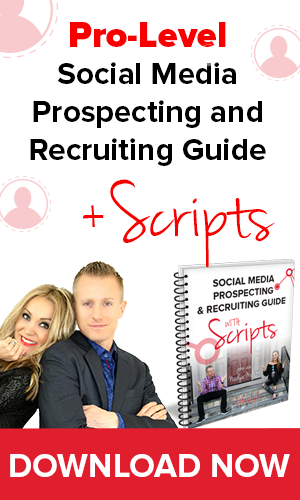 Over the past two years, their organization has brought in over $50 million in sales, and just in the last one year, their team has brought in close to 8,000 new social marketers and over 114,000 new customers! All without home parties, meeting presentations and three-way calls! 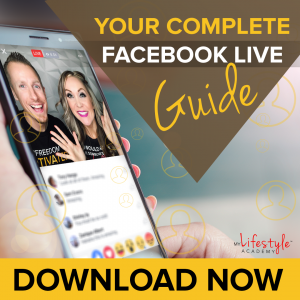 Today, John and Nadya teach average people how to earn an above average income, and their thousands of students are a testament to the level of success you can achieve when you use simple and duplicatable online strategies. Want additional support from us? 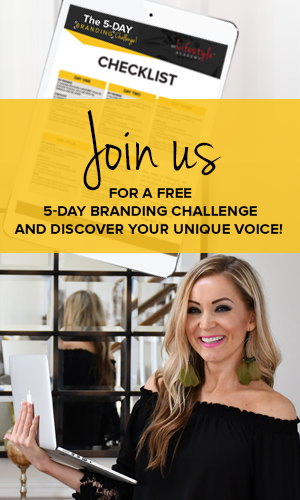 Join our exclusive Branding and Online Marketing Mastermind by clicking on the image about … and be ready to be blown away!